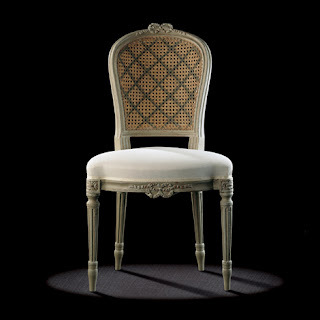 Dimensions : 94 h x 53 w x 44 d cm. 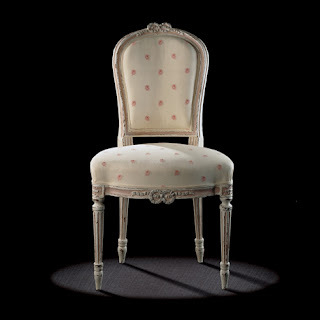 The forms of the back and the seat, the design of the mouldings, the arrangements of the fluting and the sculpted ribbon tell us that this Paris chair comes to us from the early Louis XVI style, but, oddly enough, this piece of antique furniture a little before the exploits of the de Montgolfier brothers (1783). 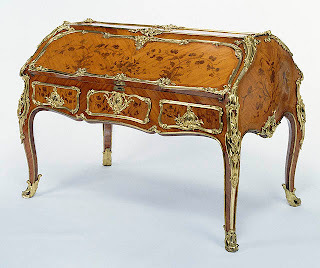 The rounded knees are also a sign of quality, and are said to originate from the wishes of Louis XVI who is said not to have wanted corners he might bump into. 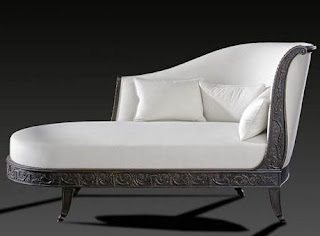 Antique furniture look very classy and royal but they must have a continuity and can not easily be matched with contemporary look.